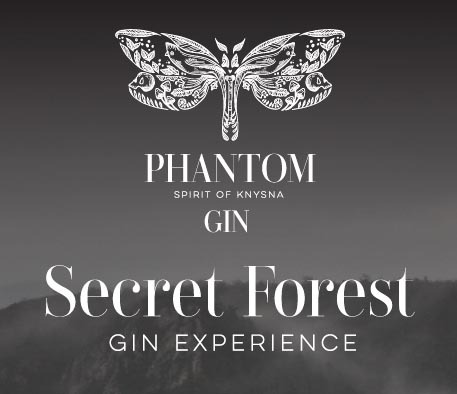 Experience a gin tasting masterclass with the founders of Phantom Gin and discover the story of the gin. Enjoy music by Tigger and and a talk on the book The Secret Elephants by the author. Join us for this unique experience and, if you're keen, why not book a room at Simola Hotel Country Club & Spa for the weekend? Experience a gin tasting masterclass with the founders & discover the story of the gin. Meet author Gareth Patterson & learn more about his book, work & independent wildlife research on the endangered Knysna Elephants. Enjoy all of this in a gorgeous cabin overlooking the forest. Venue opens at 15:30 for arrival. Event starts at 16:00. Secure parking is available.